The Flat v4 is live! After months of hard work, we are proud to announce the launch of Flat v4.0. This is definitely one of the most significant steps we have achieved so far! 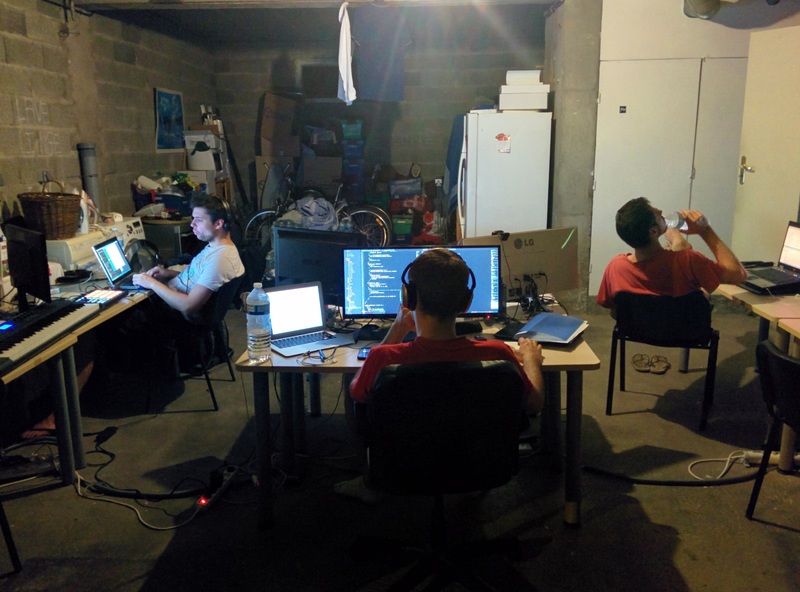 Back in mid-June we realized that Flat definitely needed a strong upgrade and so the spread-out team needed to get together to achieve this massive task. And, that's how a garage became our home for the next three months. We quickly realized that it wasn't just about musical features, but that we also needed to improve drastically the musical experience on Flat. We got featured on Product Hunt once we released our new landing page according to our vision. That gave us the extra momentum that we needed to roll up our sleeves and started to work like hell! As the title suggests it has been a real ordeal to materialize all our ideas in only one month, however we made a promise so we had no choice but to improve the overall experience! With the tight timeframe we had everything has been made on the fly. Vincent would start to integrate it. I would integrate it to the interface and we would make sure that we designed the best user experience. 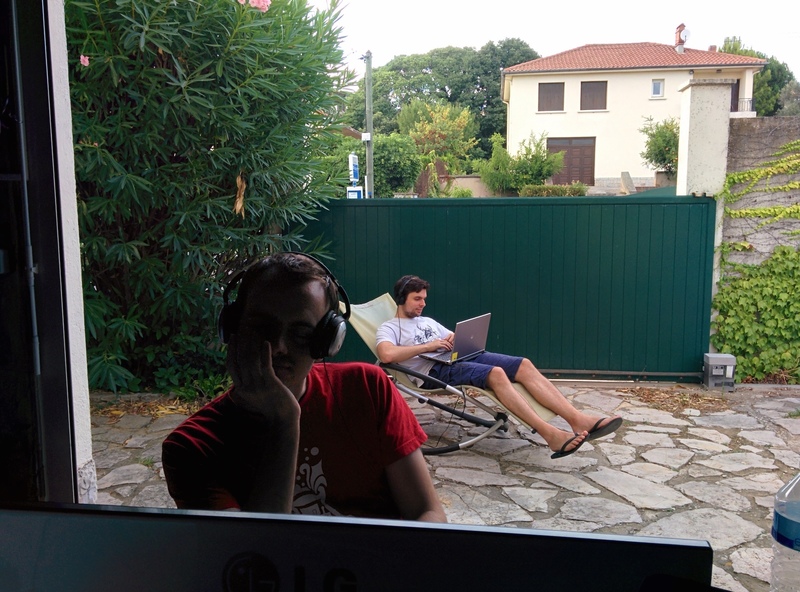 Corentin spent his entire time improving the sound rendering quality. He has been working hard from the very first day! As a result we worked a lot and had a lot of fun and hard time! Despite the dark rings growing under our eyes we're really proud of the final product! Drummers also have a completely new experience! Again we wanted to thank you all for all your support during this period! We have received more than one thousand messages. It gives us so much motivation! We are now a step over, but we have so much coming up! 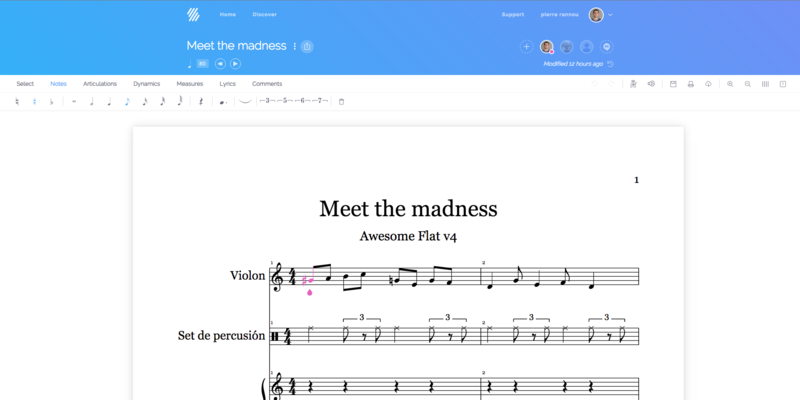 Many improvements on the editor, sharing and collaboration will take more place on Flat. We want to make the collaborator research easier and bring people together. Feel free to send us an email if you want to try it out! Since then, all the team is on fire and can't wait to release the next updates! The new Flat is available to all! Join a fantastic community of 1 million+ musicians!